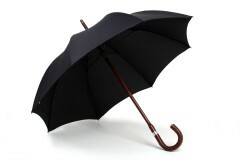 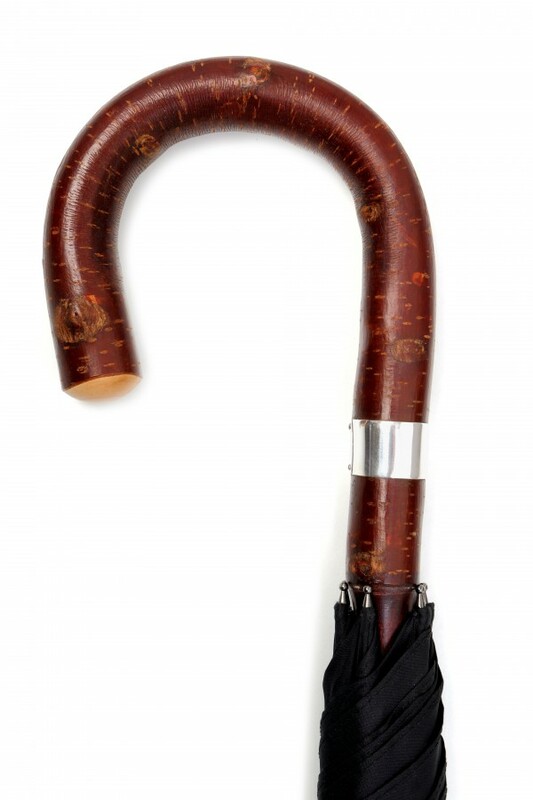 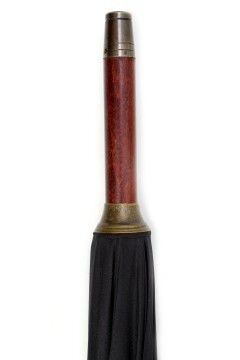 Handmade using a bark cherry crook fitted to a stained maple wood stick, this traditional umbrella is distinctive and trustworthy. 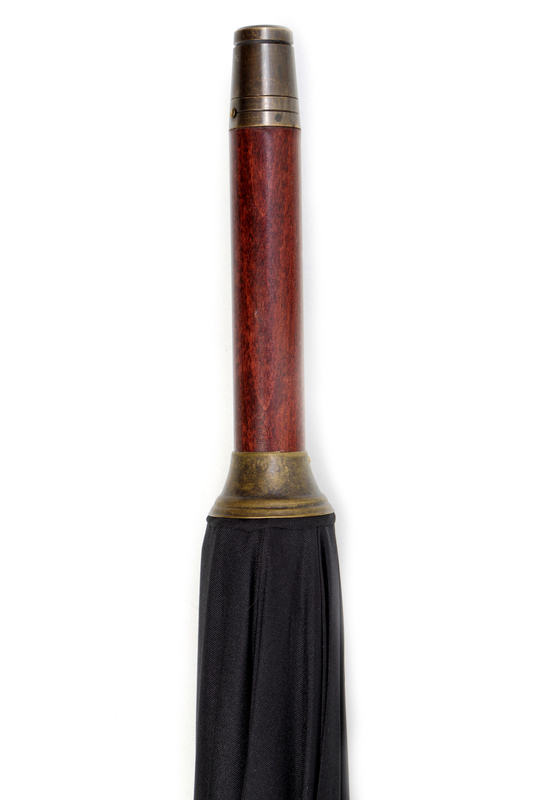 A deep red that darkens over time, the cherry wood’s surface is soft to the touch providing an appealing grip for the hand. 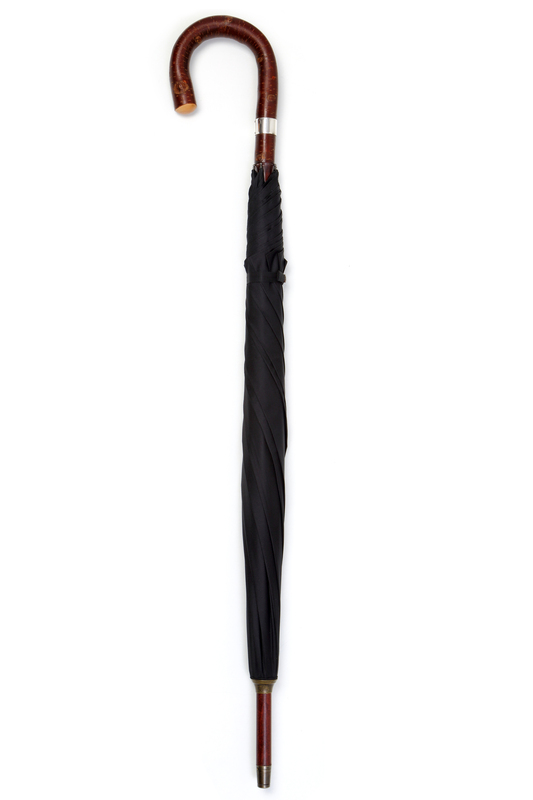 Finished with a Sterling silver lap band this umbrella is then cut to the correct length for the intended user and finished with a brass ferrule.